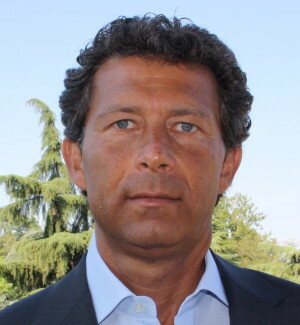 Mauro SOLDATI is currently Full Professor of Geomorphology at the Department of Chemical and Geological Science of the University of Modena and Reggio Emilia (Italy). He is President of the Geology Bachelor and Master Degrees Council since 2015-16, and he teaches ‘Geomorphology’ (Degree in Geological Sciences) and ‘Geomorphological risks and civil Protection’ (Master Degree in Geological Science and Technologies). He is Director of the Specialization Course on ‘Territorial, Environmental and Sanitary Emergencies’ since 2016. He is also part of the Council board of the PhD Programme of “Models and Methods for Material and Environmental Sciences” the University of Modena and Reggio Emilia, and has been main supervisor of 13 PhD theses in Geomorphology. He has served the International Association of Geomorphologists (IAG) from 2001 to 2013 as co-opted Executive Member with responsibility on the IAG Training Programme and as Vice-President and Training Officer between 2013 and 2017. During this period, he has coordinated and managed the awarding of 170 Young Geomorphologists, mostly from less favoured countries, with grants which favoured their participation in international conferences and workshops, intensive courses and summer schools. In occasion of the 8th IAG International Conference on Geomorphology (Paris, 2013), he was awarded with the Brunsden Medal ‘for outstanding service in the promotion of international cooperation in science and education of geomorphology within the Framework of IAG or for outstanding service which supports the objectives and activities of IAG’. He was elected as President of the IAG at the 9th International Conference on Geomorphology in New Delhi for the term 2017-2021. He has been involved in the organisation and teaching of IAG training courses, as well as in the framework of Erasmus Intensive Courses, of the European School of Climatology and Natural Hazards (European Commission) and of the European Centre on Geomorphological Hazards (CERG, European Council). Recently, he has been lecturer at the UNESCO Training Workshop on Disaster Risk Management and Preparedness (Valletta, Malta, 2015) and at the IAG-EGU Intensive Course on ‘Geomorphology Field Training in tectonically active mountain regions’ (Derhadun, India, 2017) held in occasion of the 9th International Conference of Geomorphology. He has carried out pure and applied research activity in the field of geomorphology, with special attention to geomorphological survey and mapping, slope instability, relationships between landslides and climate change as well as mountain and coastal hazards. The investigations have mainly been carried out in the Italian Dolomites, in the Northern Apennines and in the Maltese archipelago. He has participated in numerous national and international research projects, and coordinated a number of them. Since 2009 he has been Responsible of research projects funded by the EUR-OPA Major Hazards Agreement of the Council of Europe within the activities of the European Center on Geomorphological Hazards (CERG) and of the Euro-Mediterranean Centre on Insular Coastal Dynamics (ICoD). The research dealt with coastal risks with special attention to landslides, including submarine ones. Recently, he has also been research unit responsible of a national project on the “Dynamics of geomorphological systems as a response of global changes and induced geomorphological risks” (2013-15). The results research activity have been presented in over 50 national and international conferences and workshops and illustrated in about 180 papers. The experience achieved in geomorphological research, especially on landslides, enabled the writing of a series of chapters published on Italian and foreign textbooks and volumes, including the Encyclopedia of Geomorphology (Routledge, 2005), the Encyclopedia of Natural Hazards (Springer, 2013), the Treatise on Geomorphology (Academic Press, 2013), the Encyclopedia of Engineering Geology (Springer, 2017). He has also been co-editor of the book on ‘Landscapes and Landforms of Italy’ (Springer, 2017) as part of the IAG-endorsed series ‘World Geomorphological Landscapes’. He belongs to the Editorial Boards of international journals such as Geomorphology, Cuaternario y Geomorfología, Geografia Fisica e Dinamica Quaternaria, Finisterra, Landform Analysis, and Revista de Geomorfologie.